Yes, this is the season of love! And in celebration of that, you will likely give or receive a gift or card that expresses love. 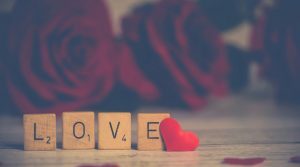 Whether it is flowers, chocolates, a hug or a kiss, the thought of how special that person is to you has prompted you to show that love in some tangible way. Correct? Well, in my opinion- every day should be dedicated to love! Right? Why wouldn’t we want to feel the thrill, excitement and joyfulness that comes from giving and receiving sentiments and representations of our feelings for another or someone’s feelings for us? If this is an intentional, everyday occurrence, how much fuller might our relationships be? Creative our expressions of love become? And maybe, just maybe the displays of love might become contagious? How can this become a regular part of who we are, or for those who currently operate in this way, how it can be exponentially greater. Granted, loving isn’t easy. People can be nasty, deceitful, vengeful, petty, egotistical, selfish, unforgiving, manipulative and greedy. And these are the people that we know! We come into contact with them daily because they live on our streets, work in our buildings, shop in our neighborhood grocery stores and often times, live under our very own roofs. If we are honest, we may even see them from time to time peering back at us as our reflection in the mirror. And because of what we receive from these people, our tendency is to respond and reciprocate in a like manner. Yes, I know it’s not right, but sometimes I can’t resist getting the last word in on an argument even when I have clearly already lost! It is natural to respond to the love (or lack thereof) that is shown to us. A person does something to, for, around you – you react. Wasn’t it Isaac Newton that established in his 3rd law of motion that for every action there is an equal and opposite reaction? This isn’t to suggest that we react opposite of what we receive – only to say that in an interaction there will be a reaction in response to the initial action. So, how do we get back to the original challenge I laid out- making every day a day of manifested love? Simple answer. Hard work! It requires us to modify our perspective. The goal isn’t to react to the actions of those that we interact with daily. No, peoples’ actions really are irrelevant. No matter what others do, we should respond in love. Remember, I started by saying this isn’t easy. It’s hard work. But we start by focusing on the right person- God. We react and respond to the one that created love, that is love and that has shown the greatest love there is. So, if we are responding to God’s love, it is first imperative that we understand what love is as defined by the one who is and created- LOVE. As Paul shares in Romans 5:6-8, the type of love that God has demonstrated towards each one of us, is rare in deed. For, it defies reason that a person would willingly die for an unrighteous person. As he reminds us, we were ungodly, powerless, sinners in every way. And still, knowing all this, Christ died for us. This is a powerful scripture. It really dimensionalizes the complete filthiness of our state and the supreme love and compassion that our Lord has for us. That in our lowest state, when we were nothing more than filthy rags, behaving poorly and rejecting God, He reacted with the ultimate sacrifice, all to preserve and grow a relationship with us. That is truly a great love. 1. Accept this gift of love. God’s love was manifested through Christ’s death on the cross and our salvation sealed through his resurrection. For, all of us are sinners. None of us righteous on our own merits. But, knowing this full well, instead of leaving us to marinate in the stench of our sin, God offers us a way out. In Romans 10:9-10 it clearly states, “if you confess Jesus is Lord, and believe in your heart that God raised him from the dead, you will be saved”. Believe in an established fact, that Jesus was raised from the dead and through that we can be forgiven of our sins, and confess- actually state that Jesus is Lord and allow him to be the Lord of your life, you will be saved. That seems like a fair response to the most valuable gift you’ll ever receive. For, Jesus paid the price that no man could pay. A price that no level of sacrificing of lambs, calves or other animals could amount to. No, his shed blood on Calvary’s cross is the only thing in this world that could bring us into right standing with God and allow us to enter into a new covenant of grace. If you have not yet accepted this gift of salvation through Jesus Christ, today is a great day to respond! Many have reacted to the greatest love there is by accepting God’s gift of salvation. That is a wonderful response. For, we know that our eternal home is in the Heavenly Father’s kingdom. We are adopted in His family and loved as His child. And as He loves us with all that he is, he commands us to love him in a reciprocal manner. In Matthew 22:38, Jesus reminds us of the greatest commandment, truly a fitting response to the greatest love there is, “love God with all your heart, soul and mind”. This poignant command translates into loving God with all that you are, every fiber of your being, every thought you think, every word you say, every move you make. This is a pretty tall order. How can we possibly do all this? We are only human, right? Yes, we are human, complete with flaws, weaknesses and shortcomings. But that’s where this new covenant of grace comes in. Don’t forget, Christ established a new covenant unlike the law and the condemnation that comes with not being able to dot every “I” and cross every “t” in our own strengths. God reminded Paul, “my grace is sufficient for you. My strength is made perfect in your weakness.” So, we are empowered through grace, which allows us to love God with all our hearts, soul and mind. The Father, who commanded us to love Him with all that we have and are also provides the strength for us to carry it out. 2. Have a lifestyle of worship. The way in which we carry this out is by living a life of worship. Worship is defined as intense admiration, adoration, honor, and devotion to someone or something. It is hard to adore someone that you don’t know. So our worship lifestyle must start with knowing who God is, spending time in His presence and sharing back to Him how glorious and magnificent He truly is. Growing up in a spiritual family, attending church 2-3 times a week (as a minimum), I became exposed to who God is through the Bible stories, hymns and praise songs, testimonies (yes, we had a full testimony portion in our devotions) and preached word. When not in church, my sisters and I heard tapes and records of these same sentiments shared. So, I became aware of who God was, albeit from other’s perspectives. Not until I got older, and started experiencing the harsh realities of life did these words become real for me. Because now, I wasn’t just hearing about how God is a very present help in the time of trouble, I experienced it while grieving the death of my mother. When faced with the reality of being without a steady full-time job and losing my comprehensive benefits package, I took heart in remembering that the ravens don’t sow or reap or store-up- God feeds them and how much more valuable am I to Him than these birds. And because I knew about Him and then experienced that knowledge manifested in so many different situations, this knowledge of who He is, what He can and what He will do can’t help but color my perception of Him, intensify my love for Him and spill over into my worship of Him! God desires an intimate relationship with each of us. He is constantly inviting us into His presence, always ready to engage with us. He awaits our response to this invitation. I believe that God wants us to stretch past the routine and traditional in our worship. I think He’s truly honored with whatever form of worship stretches us past our comfort zones, requires deliberate and intentional action and that puts Him front and center. This is likely different for each of us because we all are uniquely created and our worship will be expressed accordingly. But in order for Him to do a “new thing” in, around and through us, it just might require us to pray new prayers, sing new songs and find new ways to daily abide in Him. People can’t help but be changed after dwelling in the presence of the most high. Walks begin to change. Conversation centers on new subjects. We start showing up in places we once were not willing to go into. No, when you respond to the awesome love that the Heavenly Father offers, you can’t help but be changed for the better, for the building of His Kingdom, for His glory. This change fills you up, fills you up with the purity of His love, the desires of His heart and the burden of His gospel. We become filled to the point of overflowing. It is from this overflow that we are now able to interact with rudeness and react with kindness; encounter the force of bigotry, bias or misconceptions and respond in love. For, we are able to love our brother, our sister, our bothersome neighbor, our chatty co-worker, countless strangers on the street, etc. because of the one who loved us in spite of all our mess. Allow His name to be glorified through the love we show. I believe that each of us fall into one or more of the response categories mentioned. Perhaps you have accepted the gift of salvation, you maintain a lifestyle of worship where you daily abide in God’s presence and make His name glorious in word, action or deed but you struggle with intentionally sharing God’s love with others in a way that advances His kingdom and brings glory to His name. If that’s you, I urge you to earnestly seek God’s guidance in this area. Often, it is His still voice or subtle promptings that usher us into the exact space, place and time He’d have us be in to minister to and serve others. Maybe you’re struggle is consistently having a lifestyle of worship. I challenge you to select a specific amount of time to consecrate yourself. Lent is an excellent time to do so. There are a number of resources (devotionals, fasts, gatherings) that support individuals actively pressing into God’s presence during this 40 day period. Also, it lends itself to joining with like-minded individuals that are seeking God during this period, increasing your support network and accountability. It may be finding that new song- expressing your love, adoration, honor and awe of God in a new way with new words and a new tune. I suspect, when you experiment with new ways to worship Him, He just might show you new revelations of Himself that intensify your worship of the wondrously versatile God we serve. It is hard to love people, even at their best, in your own strength. You can’t worship a God you don’t know or have never formally introduced yourself to. But, today is a great day to make that introduction. Romans 5:6-8 clearly establishes that Christ came and died for each of us. For, we all are sinners. Every person ever born is unworthy. But God. He loved you so very much that He determined that He would present you with a gift. This gift is more valuable than money. More precious than the rarest jewels and gems. This gift is the greatest love there was, there is and that ever will be. When you have an interaction with God, it is impossible not to have a reaction. The response can either be rejection or acceptance of this wonderful gift of salvation.